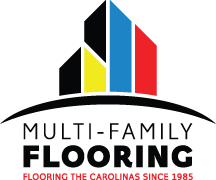 Multi-Family Flooring will provide all construction and performance specifications for product procurement purposes. Our unique and exclusive product programs will provide the best product for every project, every time. It is our goal to extend the life and performance of the flooring products that are installed in your facilities by selecting the performance characteristics that meet the needs of each individual facility.